Selecting the best provider for your network security is crucial to ensure your networks and all the data stored and flowing through it is safe from threats. Fortinet offers products and subscription-based services to deliver integrated and high-performance protection from all types of security threats. Unified Threat Management transforms the traditional idea of a firewall into an all-inclusive security product capable of protecting even complex networks. Fortinet has proved to be a pioneer in the industry. Fortinet has been awarded eight patents in network inventions by the United States Patent and Trademark Office. 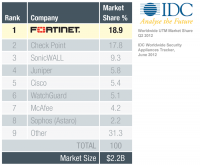 With a 18.9% share of the worldwide Unified Threat Management appliance market, Fortinet is the industry leader. Fortinet’s customer list represents a wide spectrum of industries including education, government, healthcare, manufacturing, financial services and more. 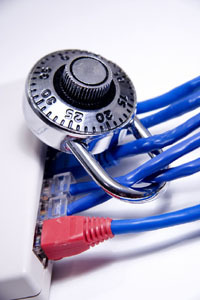 A majority of the 2010 Fortune Global 100 companies trust Fortinet network security products and services. Fortinet, Inc., contracts with E-Rate Provider Services, LLC., to provide consulting and advisory services regarding the E-Rate Program.